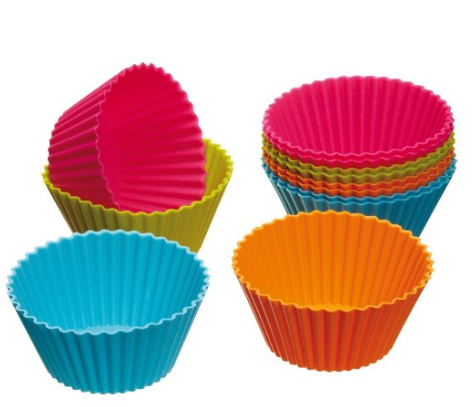 Colorful Silicone Cupcake and Muffin Liners 12-Pack Only $3.09 + FREE Shipping (Reg. $15)! You are here: Home / Great Deals / Amazon Deals / Colorful Silicone Cupcake and Muffin Liners 12-Pack Only $3.09 + FREE Shipping (Reg. $15)! Woo Hoo!! There’s been a price drop on these awesome Colorful Silicone Cupcake and Muffin Liners 12-Pack, now priced at only $3.09 + FREE Shipping (Reg. $15)!